Careless or improper titling of bank accounts can damage or even undo entire estate plans. One prime example: joint accounts. Joint accounts are a creditor’s best friend. As a general rule, when a debtor is named as a co-owner (sometimes called a co-holder) on a joint account, the funds are not protected and are ripe for the creditor’s picking. Under Connecticut law, it does not matter that the funds belonged to an innocent co-owner. If a debtor is named a co-owner, a judgment creditor may attach and execute against the ENTIRE account! This means that families trying to “simplify” their estate planning or manage finances with the help of a family member can be risking a terrible result. For example, almost 20 years ago in Fleet Bank Connecticut N.A. 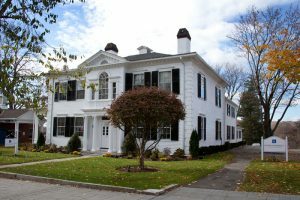 v. Carillo, 240 Conn. 343 (1997), the Connecticut Supreme Court ruled in favor of the creditor of a co-owner of a bank account against the other, innocent, co-owner. In that case, Mr. Carillo owed Fleet tens of thousands of dollars. When the creditor brought an action to execute against the entire proceeds of Mr. Carillo’s joint account, his wife, the other co-owner, sought to protect her share of the account. The court found that because there is a statute in Connecticut which treats co-owners of joint accounts as owners of the entire account, and because judgment creditors can execute against all accounts the debtor owns, the entire account is available to the creditor. In an impassioned dissent, Justice Berdon argued that the majority’s holding was unfair to innocent co-holders who often establish joint accounts for the convenience of family members, such as aging parents naming adult children to help manage funds. In the years since Fleet Bank, the courts have followed this holding time and time again, despite its harsh outcome. Even when there are not creditors, joint accounts can cause trouble for surviving family members after a death. If a parent named a child a co-owner on an account (such as the local child who helped the parent), then after the parent’s death, that local child becomes the sole owner of the account. If that account held the bulk of the parent’s assets, the other children of that parent will likely inherit virtually nothing, even if the parent had a will. The same is true of payable-on-death (POD) and transfer-on-death (TOD) accounts. If the goal is to add a child or other caregiver to an account to assist in managing the finances, the better course is to add that child as a power of attorney (POA). A power of attorney designation tells the bank that the child has access to the funds on behalf of the true owner, but is not an owner him/herself. As a POA, if the child is sued or has creditors, the creditors cannot reach the funds in the account because the child isn’t the owner. Having the POA designation on the account also means the funds remaining after the death of the parent-owner will pass through the will and not unintentionally disinherit the other children of the parent. Properly titling your accounts only protects your assets from your children’s creditors until your death. If you want to protect your assets from your children’s creditors after your death, you should establish a protective trust in your will or living trust. With the proper language, your property can be fully protected from your children’s creditors. If you have a disabled child, a protective trust can also prevent a loss of benefits from state assistance. If you or your family are trying to manage finances or simplify your estate planning, save yourself and your family time, frustration and expense by seeking the advice of an estate planning attorney. The small expense of consulting an estate planning attorney gives you access to his or her knowledge of the laws, language, and techniques of estate planning. Having a guide to direct you can save you and your loved ones from selecting a technique (such as joint accounts) with consequences that are far outside of what you anticipated or desired. An estate planner may even suggest a technique you didn’t know was available and answers more (or even all) of your needs.